A perfect combination! These cheesy beef and broccoli wraps are a delicious lunch that even the kids will enjoy. Arrange slices from 1 package of Dried Beef on a flat surface. Place a spear of cooked broccoli in the middle of each slice. Sprinkle shredded cheddar cheese over broccoli. 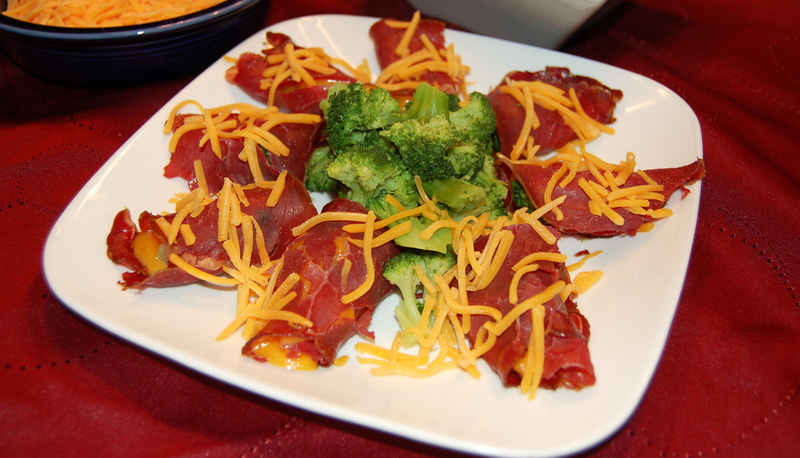 Wrap dried beef around broccoli. Secure with a toothpick. Sprinkle more cheese on top. 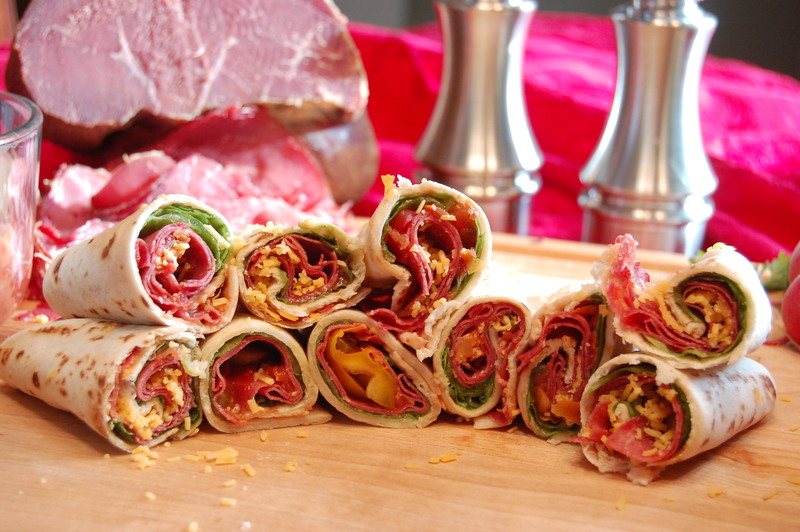 Place dried beef wraps in a microwave-safe container, wraps may be layered. Microwave on HIGH for 1 minute or until cheese is melted. A perfect hearty meal! This chowder features our Knauss dried beef blended together with sautéed onions, corn and potatoes. In 4 quart Dutch oven over medium high heat, saute dried beef and onions in melted butter 3 minutes. Add potatoes and next 6 ingredients. Bring to a boil. Reduce heat. Cover and simmer 12 minutes, or until potatoes are tender. Add 3 cups milk. In jar shake remaining 1 cup milk with flour until smooth. Stir into soup, cook, stirring constantly until mixture thickens and simmer. Enjoy this simple yet hearty sandwhich which can be enjoyed for breakfast, lunch or dinner! Easy to prepare….you will have a filling meal in minutes! Lightly grill or toast buttered french bread slices or your other favorite bread. Microwave Knauss Creamed Chipped Beef pouch according to directions. 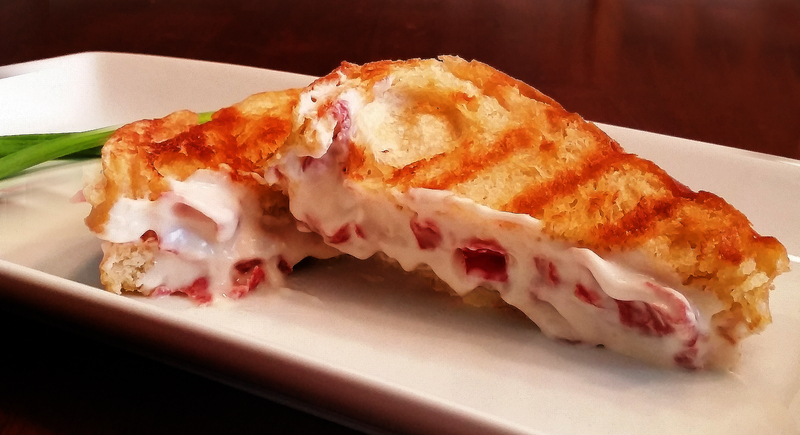 Remove from microwave and spoon approx 3oz of the Creamed Chipped Beef to warmed buttered bread slice. Top with remaining slice and serve! Our Knauss Dried Beef is a quick way to prepare lunch or a light snack. Excite your taste buds with a Tex-Mex version tortilla wrap. Mix all ingredients together except tortilla shells in a salad bowl. Refrigerate until needed. When ready to serve, scoop mixture on a tortilla shell and fold.